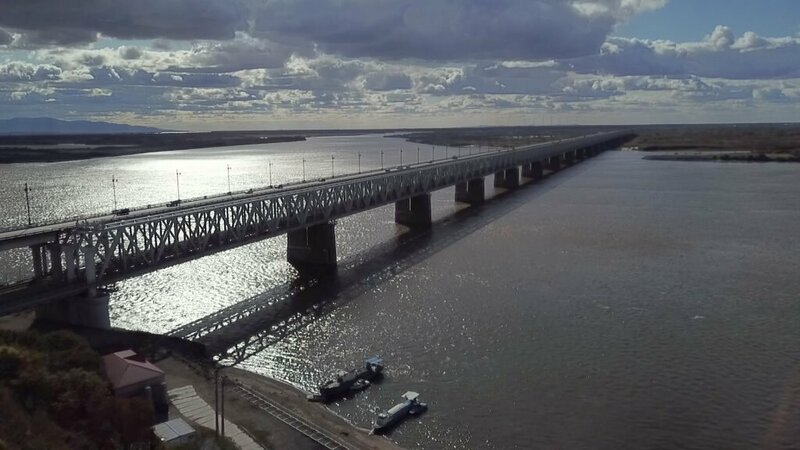 Russian specialists have completed work on their part of the railway bridge across the Amur, which will connect China and Russia. The bridge passes from the Nizhneleninsky Jewish Autonomous Region to the Chinese settlement of Tongjiang. After completion of the work, both parts of the structure were connected. According to the chief engineer of the project, Li Huachao, the construction of the bridge is planned to be completed in June, then the trains will be launched over the bridge. Recall the construction of the bridge Nizhneleninskoe – Tongjiang began five years ago. This is the first bridge that will connect Russia and China. Its length is more than 2.2 kilometers, while most of the bridge is located in China – 1.8 kilometers, in Russia – more than 300 meters. The Chinese side completed the construction of its part of the bridge in October last year. The bridge will be the shortest route for exporting raw materials from Russia to China from the Kimkano-Sutarsky mining and processing plant. Its capacity will be 21 million tons per year. © 2018 The company Baltimpex.